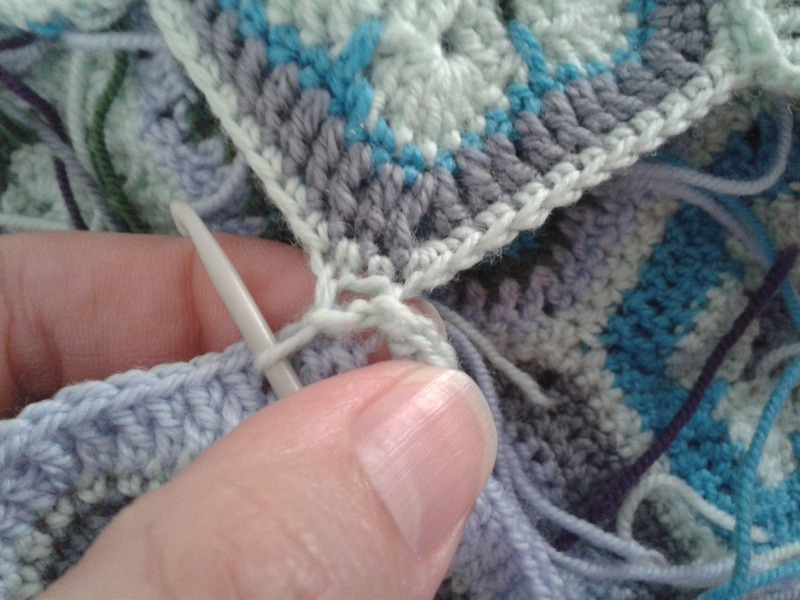 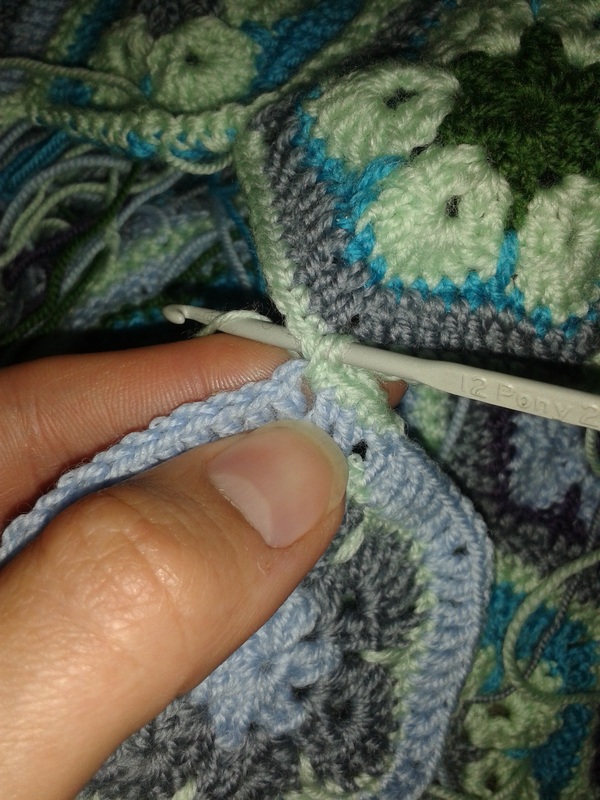 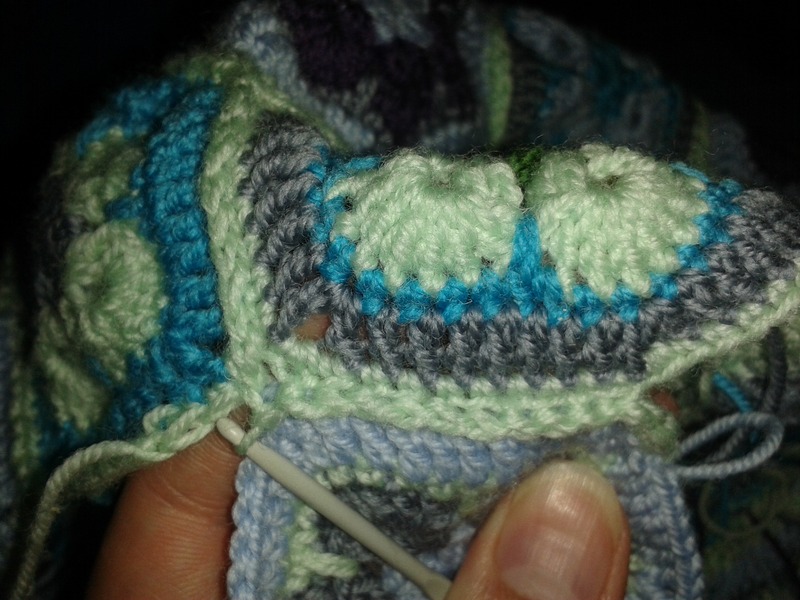 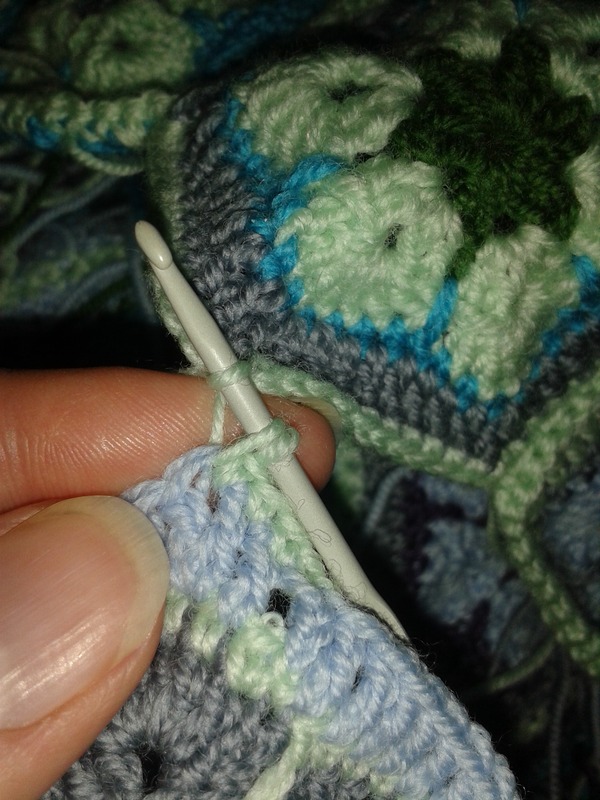 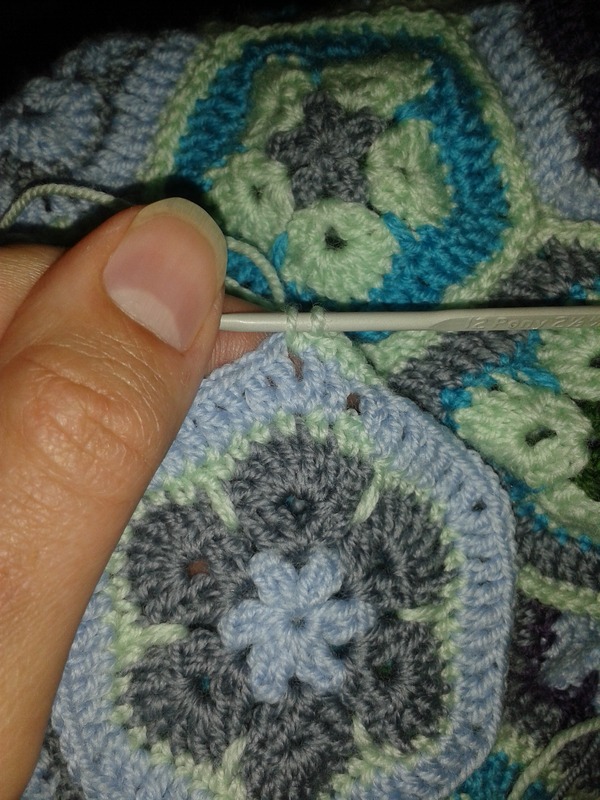 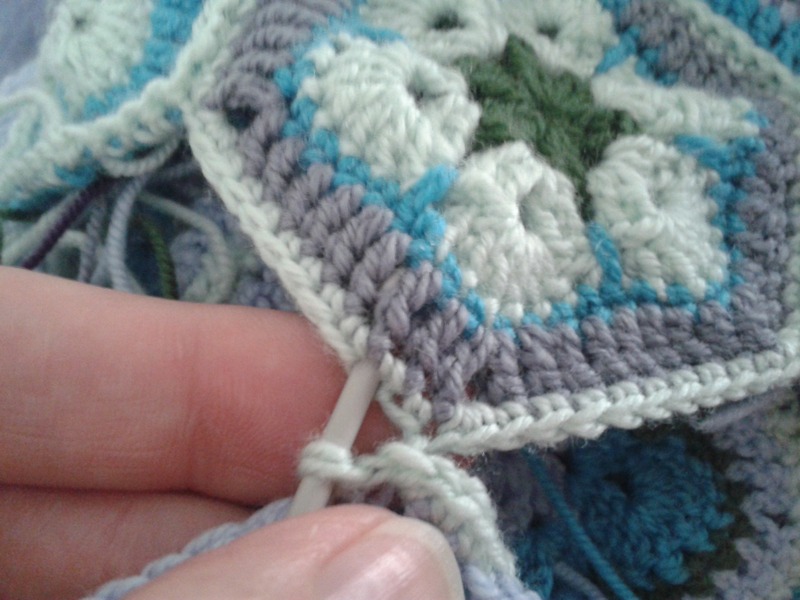 I did not want to have big holes, and my stitch count was perfect for this (11 sc per side of hexagon – 9 into dc’s of the previous round and 2 into the corner ch-1), so I joined every other sc. 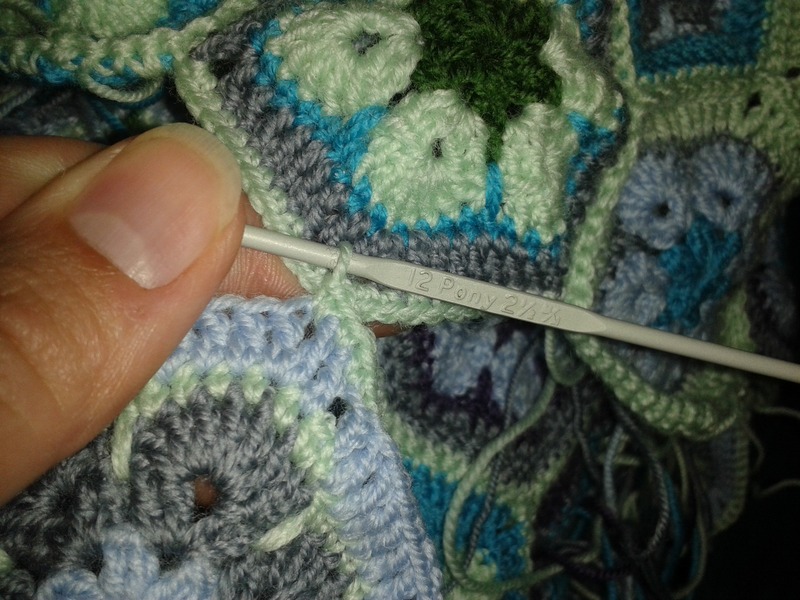 That means after first sc, sc 1, and join with next sc – also skipping on sc in the second motive. 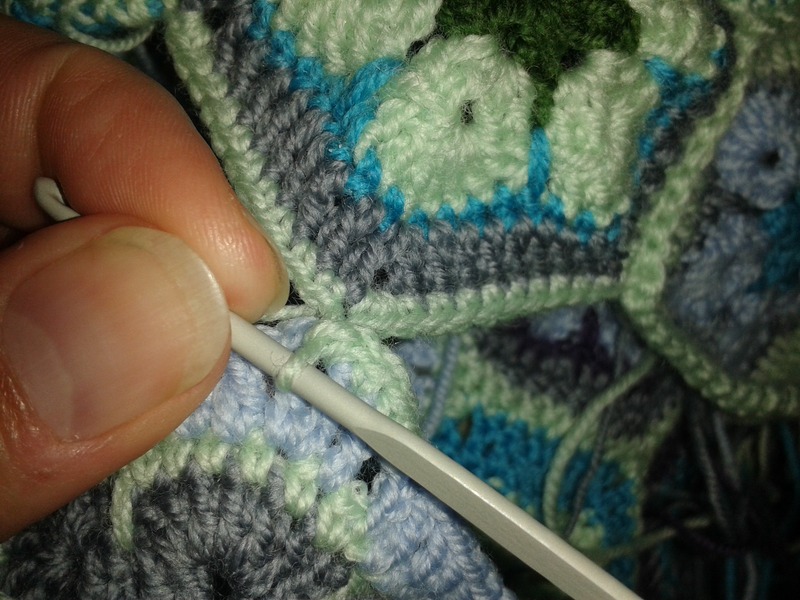 Separator image Posted in Tutorials and tagged with african flower join-as-you-go, African flowers, crochet, join-as-you-go.